CENTAURUS and supply TOISA PROTEUS. She was proceeding dead tow to new owners Algerciras. Thank you for the information Eugene. Great shots Eugene. 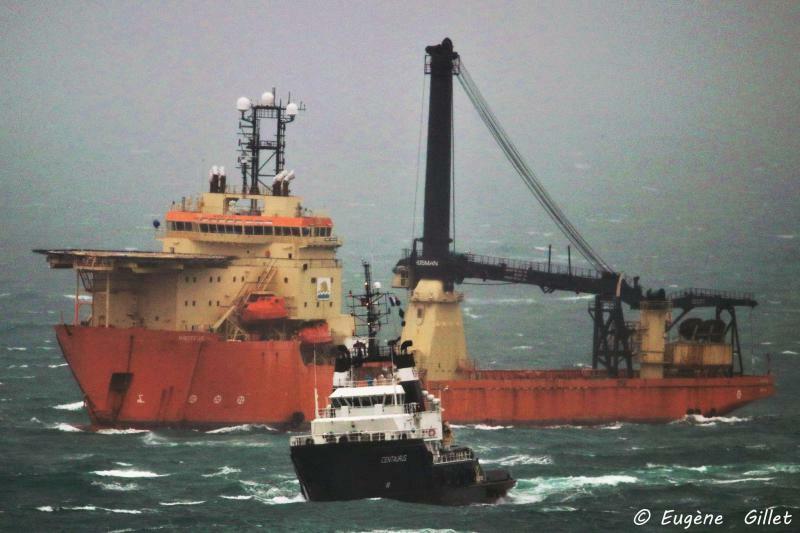 Is the tow making a stop in Brest? Conditions are much rougher than when I photographed Proteus leaving the Mersey last Saturday.